Exit the Dragon. The End of the Machida Era? Will UFC Barueri Signal the Official End of the Machida Era? 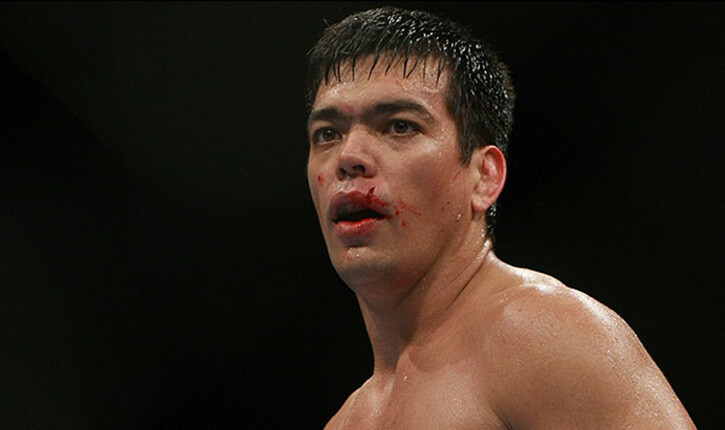 Back in 2009 Lyoto Machida had a flawless record of 14 – 0, 6 – 0 in UFC. He entered his fight against the reigning Light Heavyweight Champion Rashad Evans with all the furore of a huge star in the making. His title fight would go on to fulfill those expectations, knocking out Evans in the second with a devastating flurry of punches. Colour commentator at the time Joe Rogans now infamous comment “Ladies and gentlemen, welcome to the Machida era” signalled his arrival as a mainstream star for the US fight fan. However Rogan was if anything late in his appraisal as Machida proceeded to lose of the following 3 out of 6, going 6 – 5 in his next 11 fights. Bar one fight, his first title defense. Rogans comment signalled the end of the Dragons unblemished run as a professional. And dispelled the aura surrounding the unbeaten Karate fighter. Losing the belt in his second defense against Shogun Rua. Machida would have a second bite of the LHW cherry against defending Champion Jon Jones, but lost the bout via a vicious standing guillotine. He went on to win two of his next three before losing to Phil Davis, before making the drop down to middleweight. We can only speculate why he made the drop. But one reason perhaps is that Machida never saw himself being able to beat Jones. And at the rip age of 36, his best hope of another title shot would be against the Middleweight Champion Chris Weidman. Two back to back wins within 5 months and Machida set himself up for a showdown with the All American. Weidman who was coming off surgery on both knees got taken the full 5 rounds. There were flashes of brilliance and even instances where you might have though, Lyoto may take this. But they were fleeting. In the end Weidman dispatched Machida with a convincing points win. And after a long lay off and having had quite major surgery. From that point on, the general consensus was that the middleweight champion would only get better. With a log jam of contenders in waiting, hoping to have a shot at the middleweight crown, what next for The Dragon? With a possible 3, maybe even 4 fights on the horizon for Weidman. Where does Machida fit into the picture? Right now his next challenge comes in the form of CB Dollaway. A fighter who has been steadily improving. Who has shown some real promise in 2014. A win over a name like Lyoto Machida would catapult him right up into the middleweight mix in quicktime. The biggest fight in the career for the TUF 7 Alumni. A career defining fight in many ways. Sitting at 10 in the rankings, he has so much to gain. As for Lyoto, a loss against the Doberman could be a crushing blow from which he may never again recover. In the latter part of his career like others including Vitor Belfort 37, Michael Bisping 35, Ronaldo Jacare Souza 35, Yoel Romero 37, Anderson Silva 39. How many more times can or will any of these elite fighters get a shot at the title belt?